Should You Apply to B-School Round 1 or Round 2? I can give you a short answer and a long answer to this popular MBA application strategy question. First the short answer: Apply as early as possible PROVIDED you don’t compromise the quality of your application. If you’re feeling rushed or unprepared in any way, then you should have no second thoughts about applying Round 2 instead of Round 1. And the long answer: For schools that have rolling admission (like Columbia Business School), the earlier you apply the better; that “early advantage” that you hear so many b-school applicants talk about really only applies in these rolling cases. For most other top business schools, however, there is really no true advantage to applying Round 1 over Round 2, except that you will receive an answer of acceptance or rejection earlier. If this is reason enough for you and you feel compelled to apply Round 1, just make sure that your application is as ready as you are. 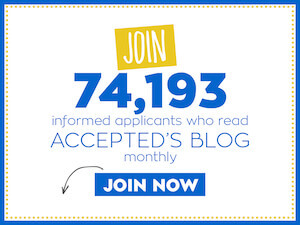 Turning in a less-than-perfect application won’t get you accepted, whether it’s Round 1 or 2. If your essays, recommendations, or GMAT score are not ready, then you should ALWAYS wait to apply Round 2, and in some cases, Round 3. Please visit Accepted’s new MBA Application Strategy 101 page to view advice on creating a winning MBA application from start to finish. Last updated on May 8, 2011.